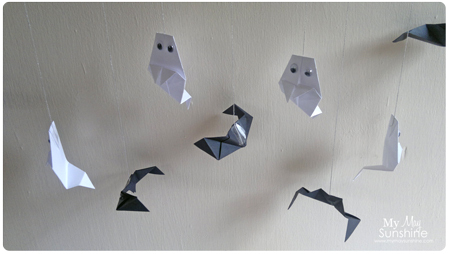 This week I have showed the origami pumpkins and origami bats that we have made and today I wanted to show you the origami ghosts we have made. 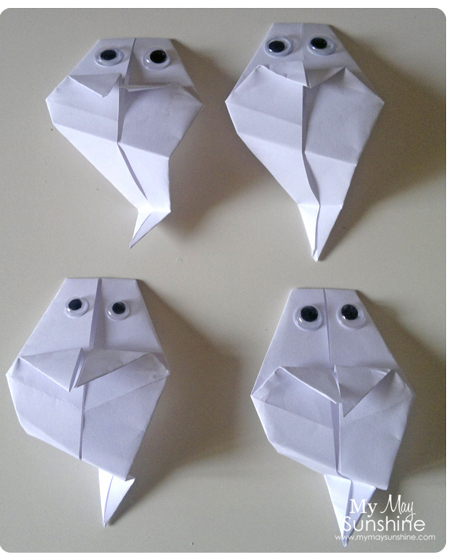 These ghosts were made using this tutorial and were really easy to make. 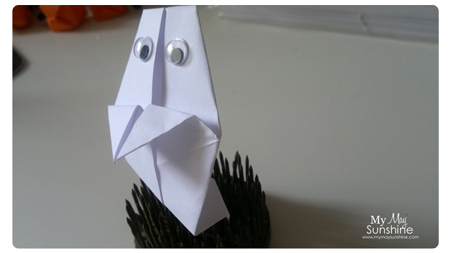 I just used 4×4 inch white paper, googly eyes and some glue. 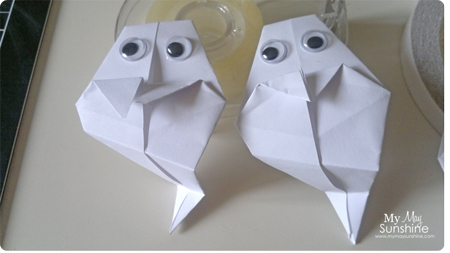 Hollie had great fun gluing the eyes on the ghosts and said they were friendly ghosts. I put a ghost in florist frog that I had as I was trying to show the ghost standing up. Kind of works. So yesterday I said that the bats looked a little lost of their own, so when I added the ghosts, it looked a lot better. 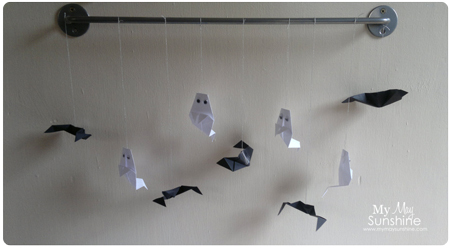 For the ghosts, I used the silver thread again to hang them up. 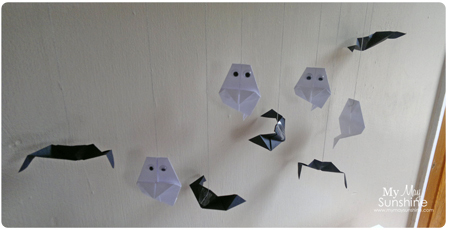 Here is all the origami Halloween things all together. 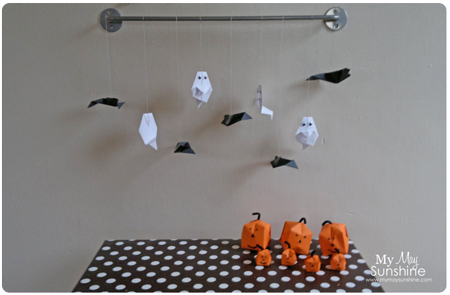 Hollie loves all the Halloween origami and was happy that they weren’t too scary. Next week it’s half term for Hollie, so we will probably be doing more crafty things, not sure yet, so there might be more crafty things on the blog next week. We shall see. Hope you had a good week and are looking forward to the weekend. See you next week.